← Would you go to Africa on a medical mission? 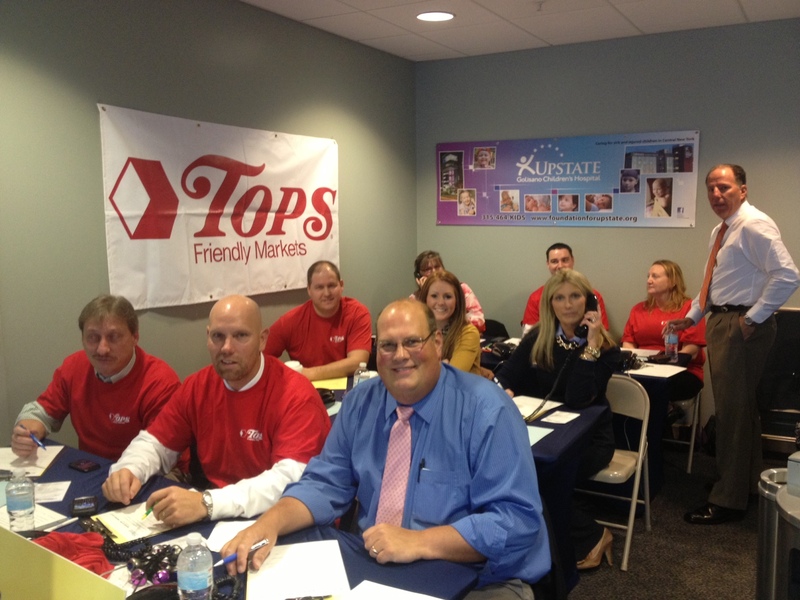 Volunteers from Tops staffed the Radiothon phone bank on Thursday. 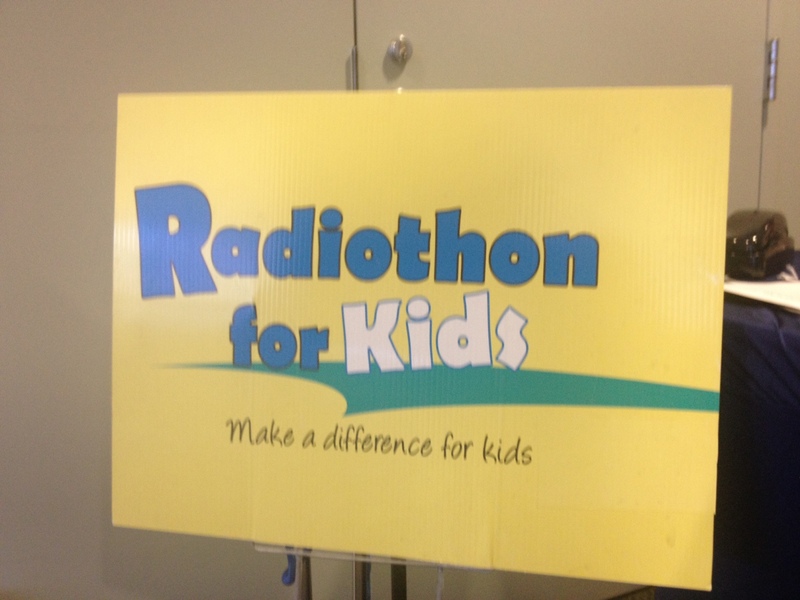 The 11th annual Radiothon for Kids continues broadcasting live from Upstate University Hospital through 7 p.m. today. The event raises money for new equipment, toys and a variety of programs and training within the Upstate Golisano Children’s Hospital. 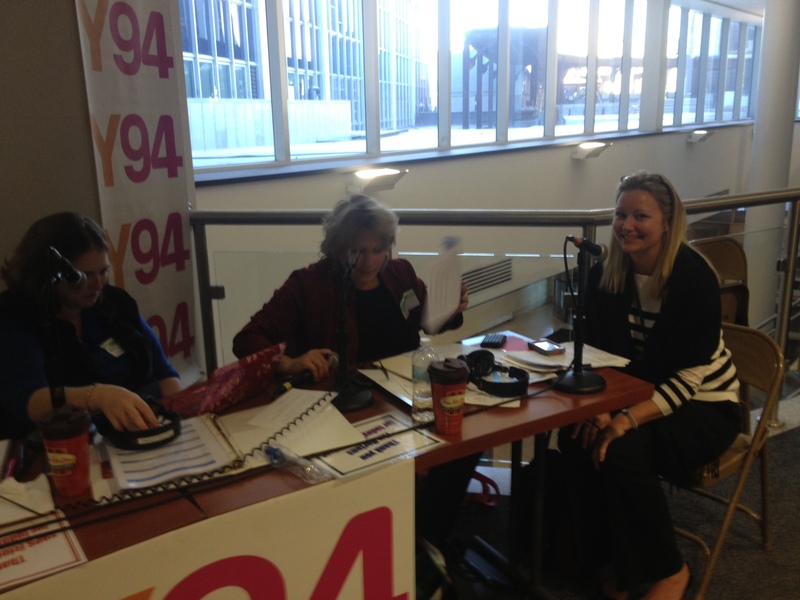 Amanda Griffin from hospital administration is interviewed on the air by Kathy Rowe. Four patients are being featured during the live broadcast, which can be heard on Syracuse Clear Channel stations Y94 FM, WSYR Radio, Hot 107.9 and B104.7. The Foundation for Upstate Medical University partners with Clear Channel Radio for this annual fundraiser. Phone in your gift by calling 315-464-4673. Or, submit your gift online by filling out this form. “The Radiothon is special because it gives the community a chance to hear about the miracles worked in our children’s hospital directly from the patients and their families who have been helped here,” said Toni Gary, from the Foundation for Upstate. More than 200 callers pledged gifts on Thursday. This entry was posted in community, fundraising, Upstate Golisano Children's Hospital/pediatrics and tagged academic medical center, health care blog, health care social media, hospital blog, hospital social media, medical blog, radiothon, SUNY, syracuse health care, syracuse hospital, syracuse radio, university hospital, upstate medical, upstate university. Bookmark the permalink.